Bring your event to life with live music by a talented guitar player. 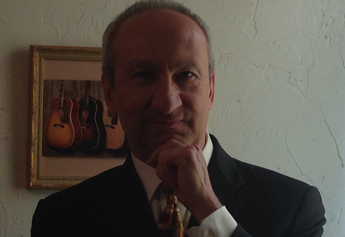 Contact Luigi Grasso in Boston, Massachusetts, to book a gig. He performs at private events and freelances with several local bands throughout the Boston area. Luigi appears at Rosaria's Restaurant Saturday evenings at 190 Main St., Saugus, MA 01906. Call (781) 558-2759 for more information. Live music is the perfect way to add atmosphere to any event. He plays an acoustic guitar and sings in a variety of styles. His performances are tailored for each audience, so your guests will hear music they love. Hire him for your wedding reception, private party, or special event. Contact him to reserve your date. Be sure to include the date of the event, the style you want him to perform, and your contact information. He loves music, because it is a force that unifies all the people of the world. From all around the world everyone loves music.